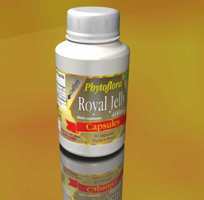 The Royal Jelly 150mg of the Herbaflora Line preserves all the properties of the fresh Royal Jelly and it has the advantage of having no need for low temperature storage. The benefits of Royal Jelly are known, for its several properties (re vitality, cells regeneration, increase of the physical, intellectual and sexual capacity, auxiliary in the recovery of convalescent, it combats the early aging, etc). Now all of these can be taken in a much more practical and safe way, thanks the rigorous quality control of the raw material that is done at our own laboratories to guarantee that everything obbeys the Uniflora Pattern of Quality.